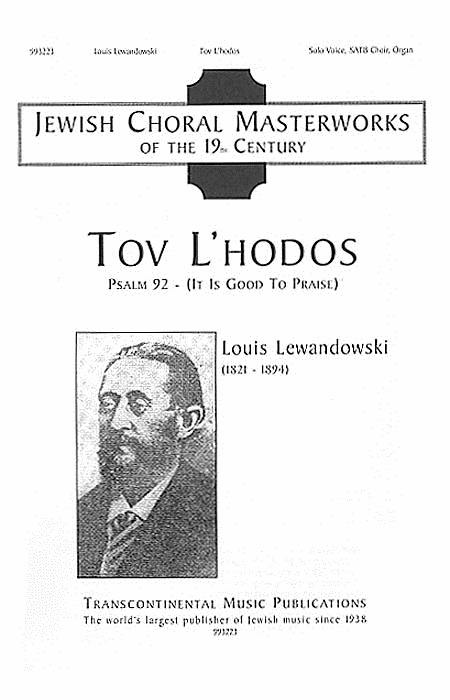 Composed by Louis Lewandowski (1821-1894). Transcontinental Music Choral. Jewish. 18 pages. Transcontinental Music #993223. Published by Transcontinental Music (HL.191446). Psalm 92. 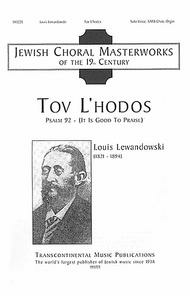 A 19th century gem from the founder of modern Jewish worship music for choir. Lewandowski was a contemporary and friend of many mid-19th century composers including Mendelssohn and Schubert. He is best known for his beautiful harmonies and sensitivity to text.